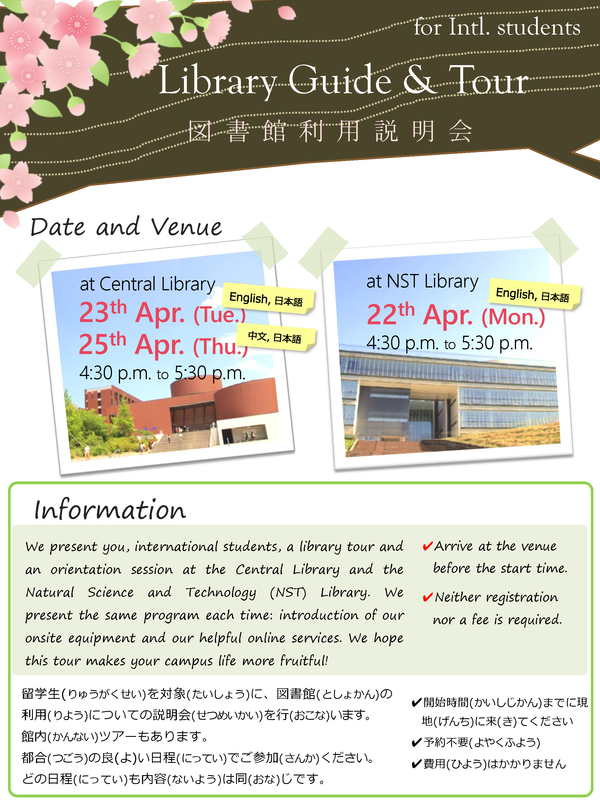 We present you, international students, a library tour and an orientation session at the Central Library and the Natural Science and Technology (NST) Library. We present the same program each time: introduction of our onsite equipment and our helpful online services. We hope this tour makes your campus life more fruitful! Neither registration nor a fee is required for the tour. Please arrive at the venue before the start time. For further information, feel free to contact our service desk at the Central Library or the NST library. Date and Time：Mon., April 22, 4:30 p.m. - 5:30 p.m.